Rose Vietnam: Thanh Thien Ornamental Flower Center: First Tourists Visit ! Thanh Thien Village Ornamental Flower Center has seen its first tourist visit. Thanh Thien was historially the traditional royal village which made the fabric flowers for the kings and queens of Vietnam. This skilled art of hand-crafting delicate work, needing specialized tools and instruments, themselves made by the villagers had been all but lost. Rose Vietnam has helped to revive the cottage-industry, and introduce it to tourists, who are able both to see, as well as to try their hand at the process themselves. A visitor centre has been established and a small shop where flower kits and other souvenirs may be purchased. Dear Quizzers:Thank you for supporting the Rose Charities quiz night. This year marks our fifth anniversary of humanitarian effort in Vietnam. 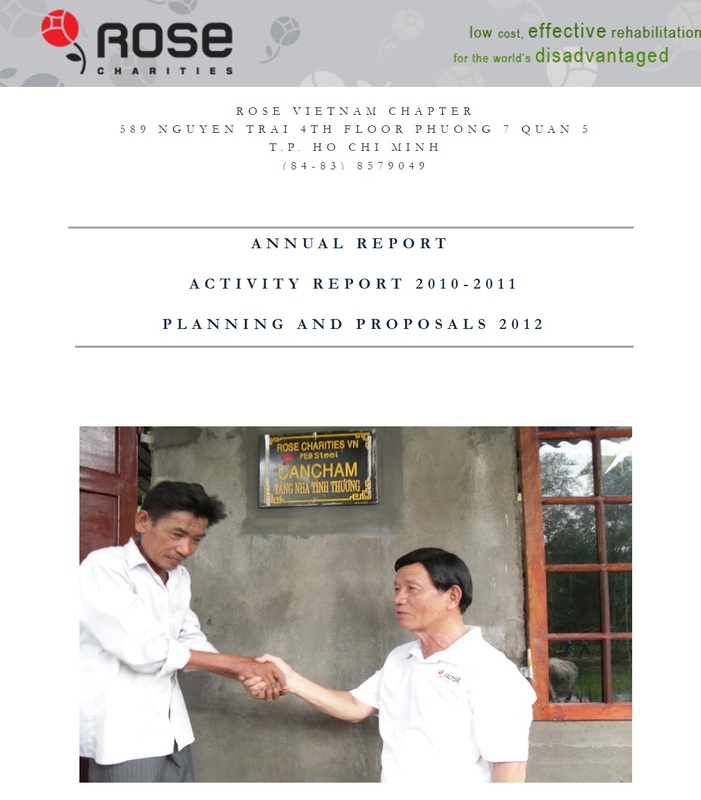 Many individuals and organizations who had participated in our various programs helped shape Rose VN into a mature NGO with promising future and presence in Vietnam and within the Rose International family today. Our Board and regular volunteers, myself included, wanted to express our deepest appreciation to the support and dedication we received from all over the world in the years past. Hue is one of the poorest areas of Vietnam and is subject to frequent, violent storms causing major damage to infrastructure. 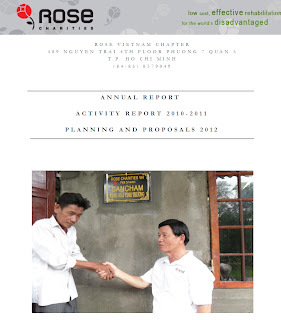 To date, Rose VN has provided emergency relief, education, housing and micro-credit support. Rose VN will continue to focus its support on Hue for the foreseeable future. Recently, Rose VN has been approached by the chief of Thanh Tien village in Hue to help revitalize a 400-year indigenous craft of hand-made paper flowers. We learned that at one time this village was well known for these flowers but that since the war the industry has not flourished. Rose VN sees this as a good opportunity for sustainable community development and will develop a three year plan, with input from the local villagers, which would include construction, tourism, marketing and ESL. Over 2 million tourists are expected to visit Hue in 2012 and we hope to support the village by harnessing some of this growth. We are growing our programs and number of members and I wanted to include a few excerpts from my reply to a recent partnership request as an account of the Rose VN development. Along our path of building the future for students through funding designated for scholarship and classrooms, our volunteers on the ground make connection with community and educational program leaders and address immediate needs that are desperate, emergency in nature. It is in the spirit of human connection where past, present and future merge, where there is no racial, religious or social division that Rose VN volunteers are encouraged and continue to touch lives.